So if you're like me and fond of nostalgic drinks, here's how to get some entries into the Crystal Pepsi contest. First, get the Pepsi Pass app in iTunes or Google Play. You can also signup at PepsiPass.com if you don't want the app. Once you create an account and login, you'll earn points. (I received 7600 points initially, but I'm not sure if that is common.) You can earn more points by hanging out with other friends who have the app or referring your friends. 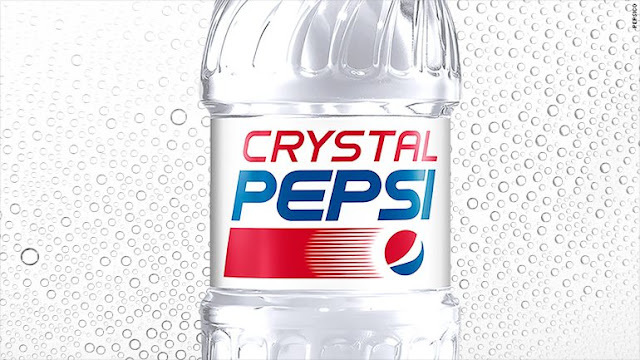 For the Crystal Pepsi contest, you'll need 1,000 points per entry. Beginning at 12pm EST on 12/10/15 and ending 12/11/15 at 11:49pm EST, you'll be able to earn entries through the rewards store. The entry limit is 6 so if you are able to accumulate 6,000 points, you'll have enough to gain the maximum amount of entries. There will be 13,000 winners who will receive a 6-pack of bottles. (Judging by the promo video, small bottles.) The odds will depend on how many people enter, but if you are one of the lucky ones, you'll be the empitome of cola envy to all of your friends. Good luck!